(i) His/her engagement as Senior Translator(Hindi) will be on full time basis for a period of one year in the first instance w.e.f. the date he/she actually takes up the assignment or till competent authority of Staff Selection Commission desires his/her services or until a regular officer nominated from Deptt. of Official Language or till further orders, whichever is earlier. The engagement will, however, be liable to be terminated at any time without assigning any reason thereof. (ii) The consolidated remuneration of Rs.20,000/-(Twenty thousands only)will be paid per month. He/she will not be entitled to any allowances such TA/DA/CCA/HRA/CGHS/Medical reimbursement/LTC/Tuition fee reimbursement such as applicable to Central Govt. employees of his/her status. However, he/she will be entitled to TA/DA as per normal rules which ever is applicable to him/her in the Staff Selection Commission while he/she is on official tour. (iii) He/she will be eligible for 8 days Casual Leave in a calendar year on pro-rata basis. Therefore, he/she shall not draw any remuneration in case of absence beyond 8 days in a year(calculated on a pro-rata basis). Also unavailed leave in a year cannot be carried forward to next calendar year. (iv) He/she will have access to the Staff Selection Commission during the period of engagement and will be allowed to borrow books as per library rules. (a) Translation of various documents from English to Hindi and Vice-versa. (b) To assist Hindi Officer in organizing Hindi meetings and Hindi workshops. (c) To act as Liaison Officer in Hindi Meetings. (d) Maintaining files, records and to attend other works relating to Hindi Section whichever is assigned to him/her. (vi) He/she will not take up any other assignment during the period of consultancy without the prior approval of the Commission. 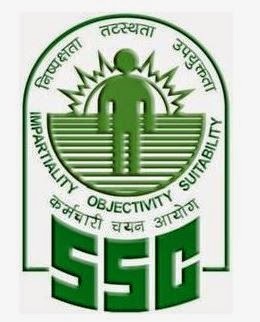 (vii) He/she will give an undertaking on joining that while discharging duties and responsibilities as Sr. Hindi Translator(Hindi) in the Staff Selection Commission, he/she shall not disclose any confidentiality of office matter. 2. Applicants who retired/superannuated at least from the post of Senior Translator(Hindi) from Govt. will forward/submit his/her application in the enclosed format and invariably accompany a copy of the PPO to Shri Parshotam Singh, Under Secretary(Estt.I) Staff Selection Commission, Block No.12, CGO Complex, Lodhi Road, New Delhi-110003, within 30 days of issue of this circular.